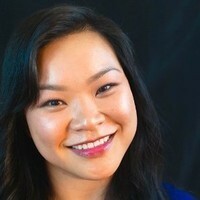 Welcome Carol Chan, Living Cully Coordinator! Living Cully welcomes its newest team member, Carol Chan! Carol was born in the urban environment of Hong Kong, and transplanted at a young age to the forests of Southern Oregon where she grew up surrounded by wild and scenic rivers and geological wonders. Since age 15, Carol worked on trail crews with the U.S. Forest Service and as a guide with the National Park Service. The juxtaposition of the urban and natural environments gave Carol an appreciation for the importance of sustainability. She is passionate about integrating natural elements into our built environments. Carol brings this passion and a background in real estate to think creatively about how to preserve land for affordable housing in the Cully neighborhood. As the Living Cully Coordinator, Carol will help bring cohesion to the four Living Cully partner organization, by tracking the progress of signature programs and orchestrating a vision for the future. Currently, she is leading Verde’s efforts to put the Portland Clean Energy Fund on the November ballot (learn more, link to PCEF website). In her free time, Carol enjoys traveling to National Parks and road biking. She hopes to spend time with her partner this summer learning how to fish, and has long-term dreams of building a home out of shipping containers, complete with a rooftop hydroponic garden! Carol’s visionary and enthusiastic energy will serve Living Cully and the community well. Welcome aboard!